Episode 17 of 20,000 Words is with my good friend and mother of my future daughter-in-law (we hope!) Katelyn Fuson. If you aren’t following Katelyn on Instagram, you should be! She and her husband Chad are coming up on a year of having their daughter Willa home from China and being a family of 3. 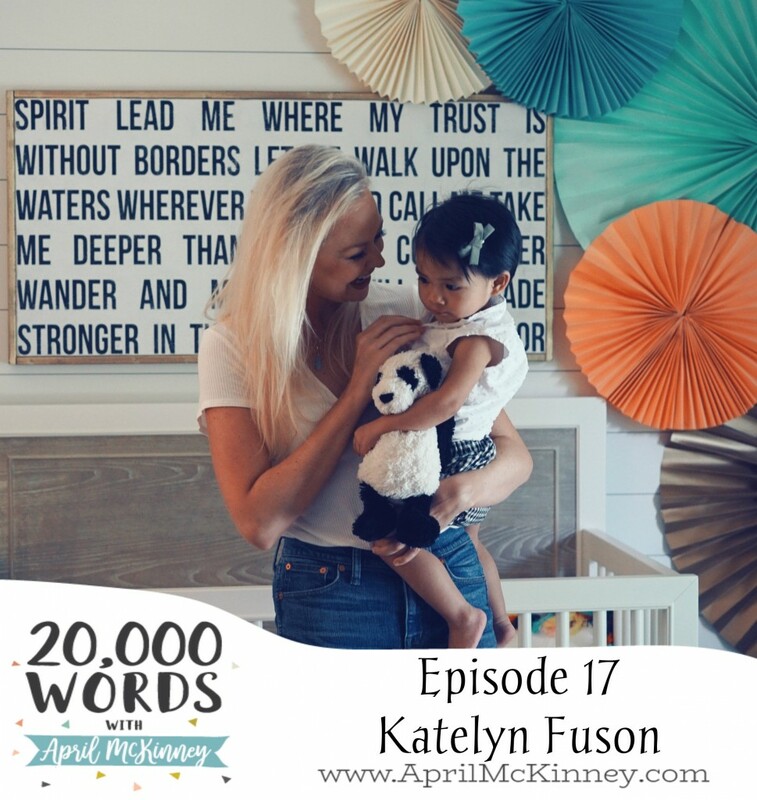 They have a beautiful story of redemption, and she shares it all with me on this episode. It was so fun talking with her and catching bits of pieces of the story that I haven’t heard, even though we have had the privilege of walking through most of this journey with them. If you or someone you know has struggled with infertility and/or is considering adoption, be sure to share this one!